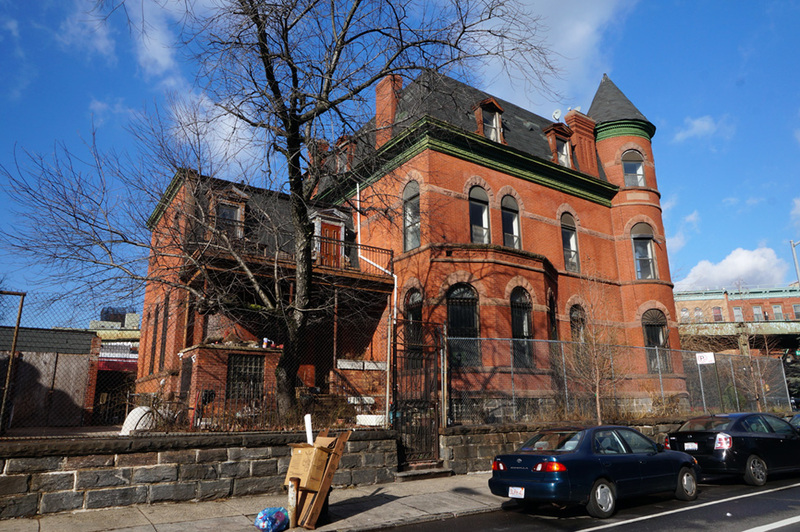 This Richardson-Romanesque Style Mansion turned condos was built in 1889 at a cost of $80,000. 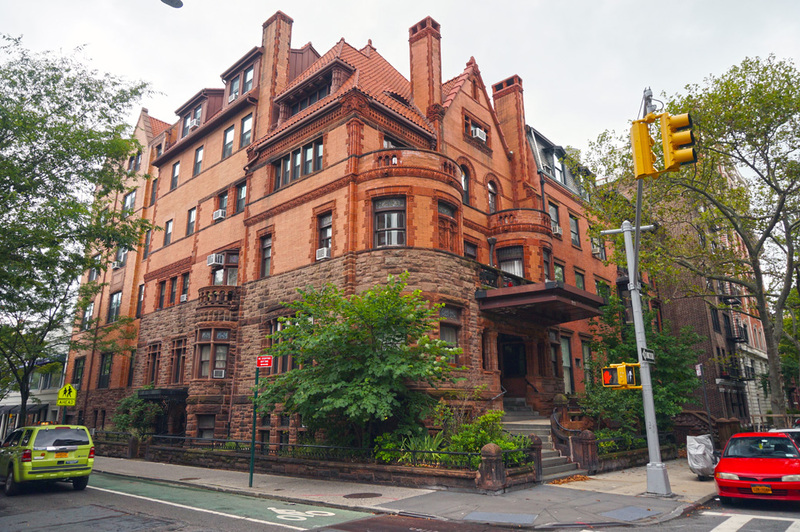 Prominent Brooklyn architect Frank Freeman was commissioned by Herman Behr to design the imposing structure. 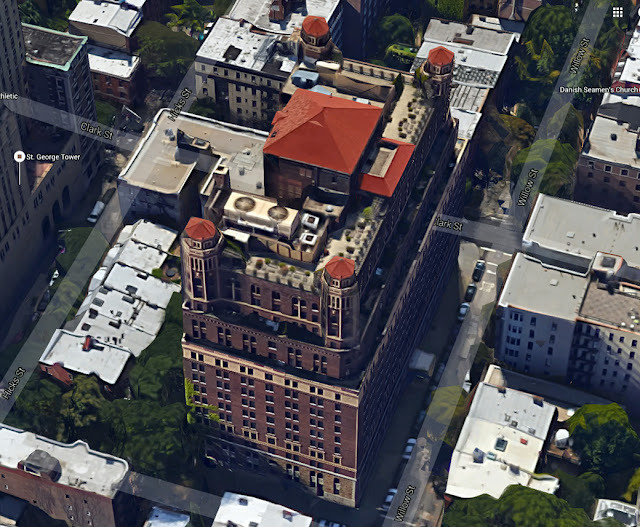 Other buildings designed by Freeman include the Brooklyn Fire Headquarters, Eagle Warehouse, and Brooklyn Union Gas Company Headquarters. 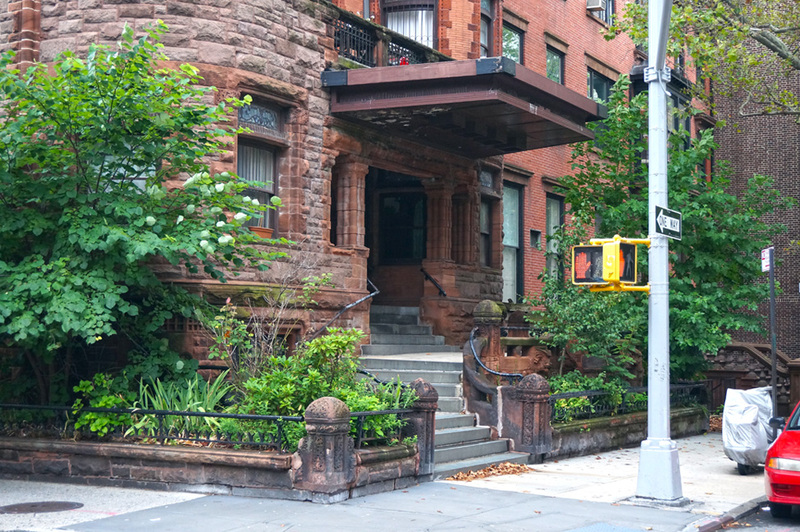 The Behr Mansion was described by New York Times journalist Christopher Gray as “one of the real treats of Brooklyn Heights, a Romanesque color-fantasy of salmon brick, terracotta and rock-faced sandstone with crazy animal ornament reminiscent of modern, violent comic books – grimacing lizards, lions and dragons”. 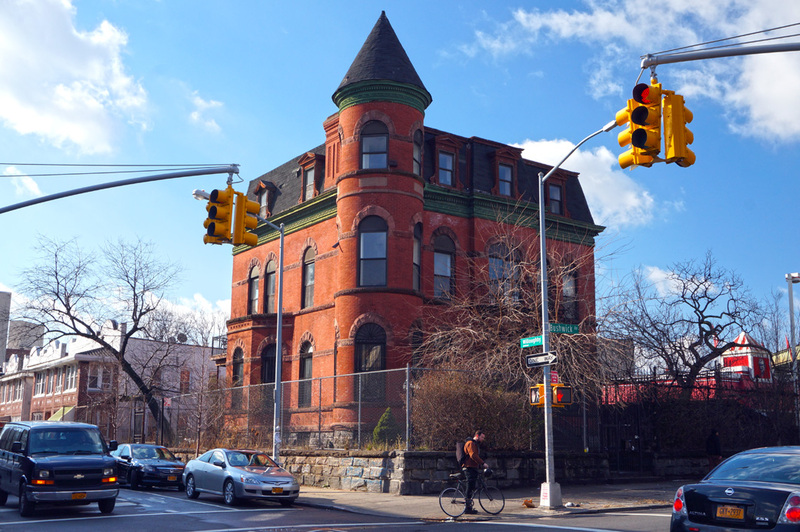 A complete, five paragraph, architectural description can be found in a Brooklyn Daily Eagle article from 1890. 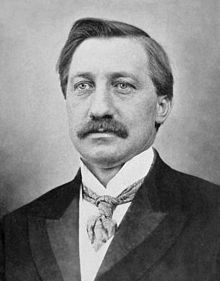 Herman Behr (1847-1934) was a 19th and early 20th century industrialist. He immigrated to the United State from Germany with his family at the age of three. After leaving his job as a glue jobber in 1872, Behr started his business producing sand paper. He began in a one-room shop but quickly grew his enterprise into one of the leading sand paper manufacturers in the country. The other notable Behrs include two of his sons. Herman’s son Max was a professional golfer and his son Karl was a pro tennis player. Karl was also famous for having survived the sinking of the Titanic. He had been pursuing Helen Monypeny Newsom, his sister’s friend, as she traveled abroad. Her mother had taken her on a trip to Europe in an effort to discourage their relationship. The plan didn't work since the couple eventually married. For their trip home they all boarded the Titanic. Below is Karl’s tale of how they escaped the doomed vessel. In 1919, after Herman Behr and his family moved upstate, the mansion was sold. It was then enlarged and converted into a hotel known as The Palms. During the hotel’s decline, it was run as a brothel. According to an old newspaper article by the Phoenix, author and legendary prohibition era madam Polly Adler "reportedly found a home there". In 1961 the Palms was shuttered and the property was sold to become the "Franciscan House of Studies". It was used as a home for Franciscan Monks until it was bought by a developer in 1976 and converted into a condo building with 26 units. I often pass this church at night when I work late, miss the ferry home and end up slumming it on the L Train. When I pass it, the lights are usually on and the front interior doors are open, allowing a vibrant glow to emanate from the entrance. 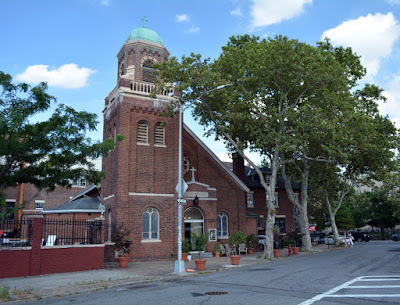 The Roman Catholic San Damiano Mission leaders who now run the church have done a good job of making the church seem inviting in an otherwise industrial looking corner of Greenpoint. Every time I walk by I can’t help but want to walk in. Slovak immigrants of the Austro-Hungarian monarchy established the Slovak parish of the Roman Catholic Church of the Holy Family in 1905. The congregation first met in the basement of St. Vincent De Paul Church (demolished) on North 4th Street in Williamsburg while their new sanctuary was under construction. 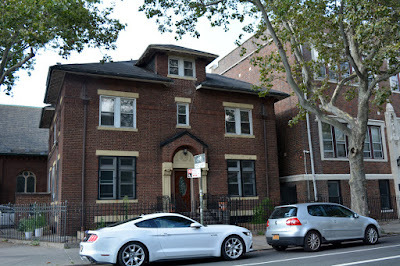 Their new house of worship at Nassau Avenue and N 15th Street was completed in 1911. Shortly after moving into their new church, attendance grew to 1,500 parishioners. In addition, a parochial school fronting Nassau Avenue was added in 1918. The school closed in 1970 and is now a daycare. 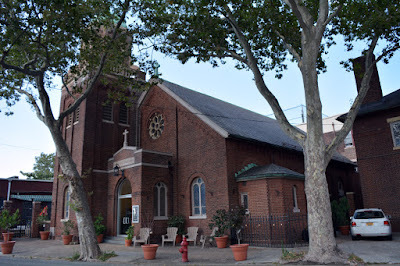 In 2011 the Roman Catholic Church of the Holy Family merged with the Church of Saint Anthony of Padua. Then, in 2015, the church became the Roman Catholic San Damiano Mission. The church's design style is Romanesque Revival. 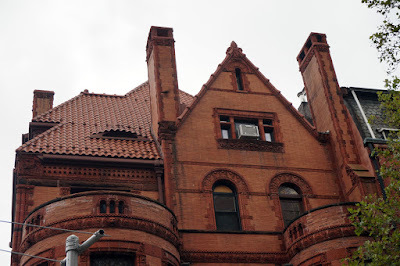 The red brick building’s architectural features include a corbeled brick gable, Romanesque arched fenestration, limestone trim and a verdigris dome capped tower. Unfortunately, I can’t find the name of the church's architect. Alfred T. White commissioned the Riverside Apartments. White was a successful businessman that attained his wealth from the fur trade, although, he was trained as a civil engineer. His success came at a time when most working class families lived in some degree of squalor. He believed that the working poor had a right to dignified housing, so he set out to create a new model for worker housing. White’s mantra regarding his real estate developments was“philanthropy plus 5%”. 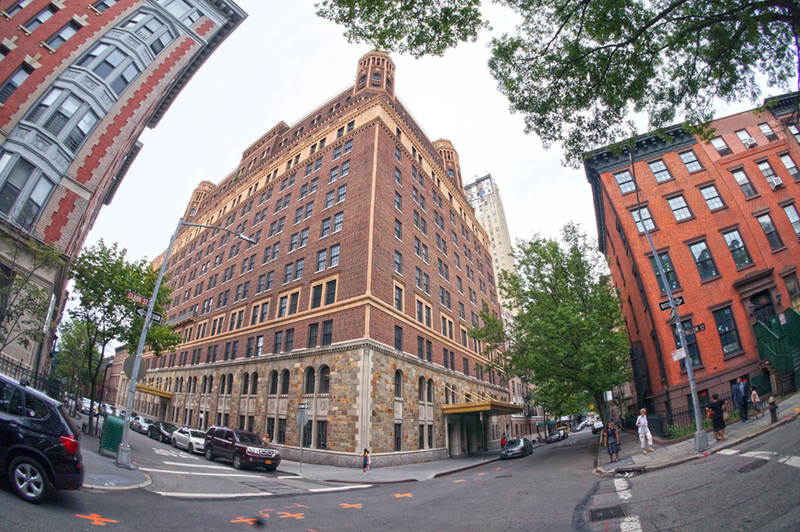 The Riverside apartments featured amenities uncommon in tenement buildings at the time and were White’s contribution to elevating the living standard of working New Yorkers. 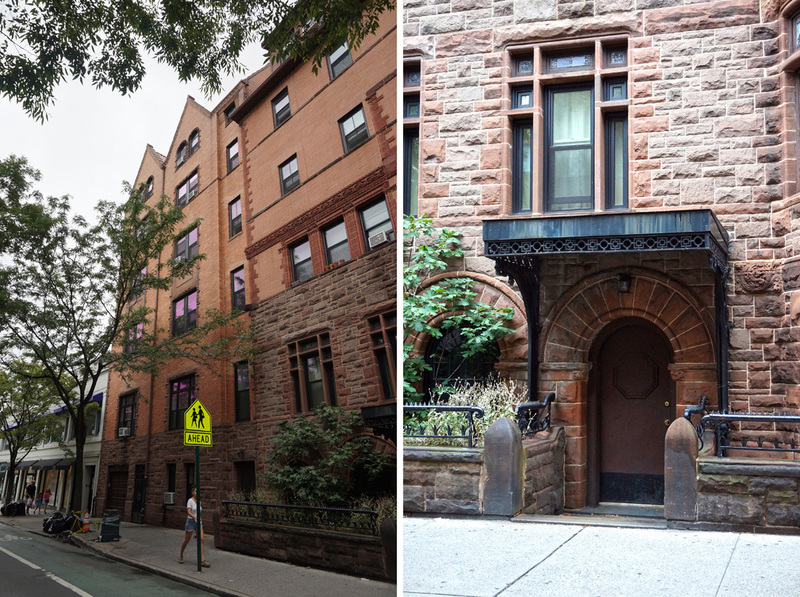 Other tenement buildings commissioned by White include the Tower and Home Buildings in Cobble Hill. Designed by William Field & Son in an eclectic Romanesque – Italianate style, the Riverside Apartments were built in 1890. 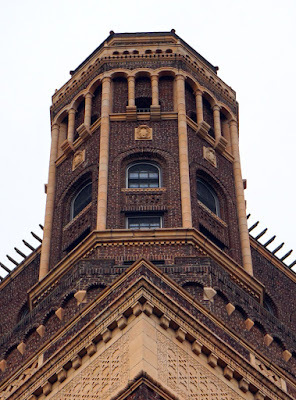 The building’s architectural embellishments include arcaded loggias, perforated metal railings, brick patterns, corbeling and terracotta ornamental detailing. 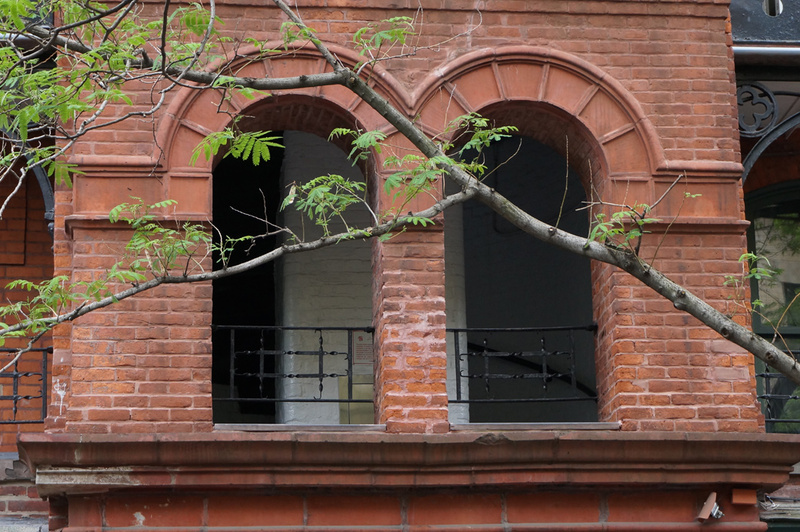 Architectural innovations for tenement housing featured in the design included a toilet in each unit, open stair towers to ameliorate foul odors common in closed tenement stairwells, and a spacious central courtyard with a band shell. 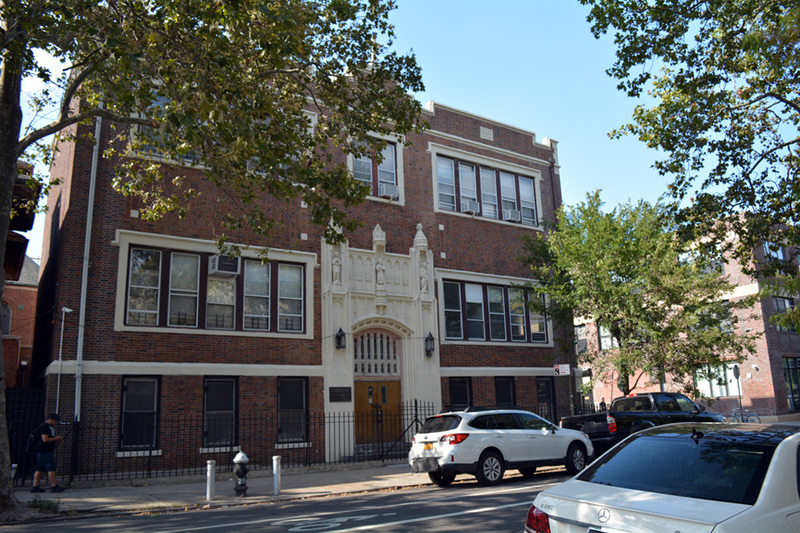 In addition, the building’s design afforded residents more natural light and fresh air than most tenements from the period. According to the AIA Guide Alfred T. White’s buildings are the “original limited-profit housing, predating the City and State’s first “limited-dividend” projects (Stuyvesant Town) by 57 years”. However, there is another comparable building that comes to mind. The Astral Apartments in Greenpoint were built with a similar vision. 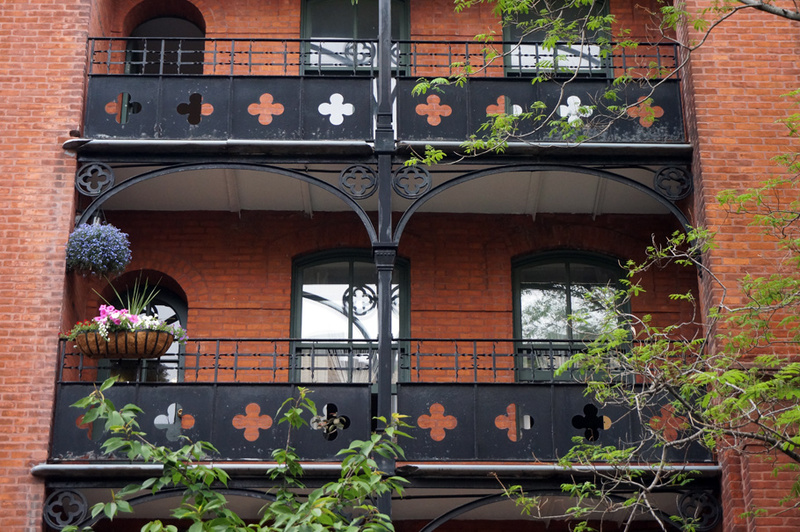 Although the Riverside apartments take up most of a city block, there were once more of them. 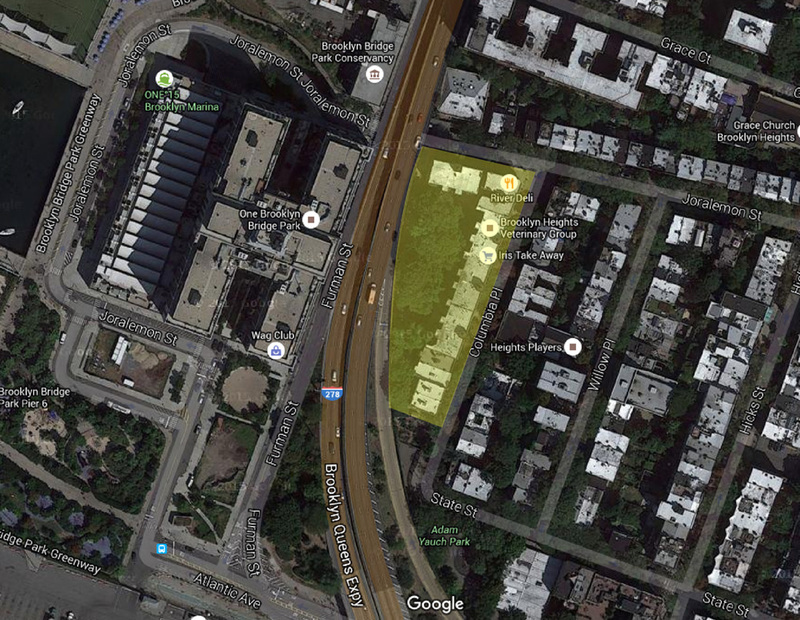 The complex was truncated by the BQE when four of the nine buildings were removed to make way for the thoroughfare. Also relinquished was the building’s central garden. 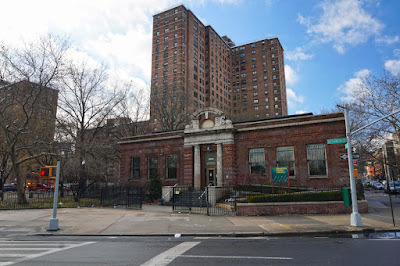 The original affordable housing complex had a capacity of 280 families, utilizing forty nine percent of the lot for structures and the rest for open space. Apartment sizes had a range from two to four rooms. Rents were on a sliding scale with prices based on floor level and unit size. Built in 1926 as the Leverich Towers Hotel, the sixteen-story building was designed by architecture firm Starrett & Van Vleck. Starrett & Van Vleck are also known for designing the Macy’s building in Downtown Brooklyn, as well as the Lord & Taylor and Sacks Fifth Avenue stores in Manhattan. 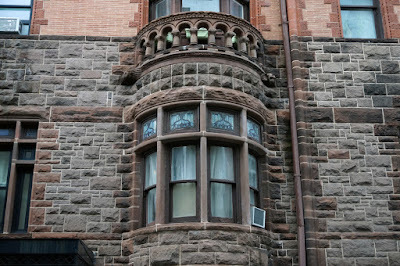 The building is a Romanesque Revival style structure with Venetian influenced towers punctuating the building’s corners. The four colonnaded towers were once lit at night. 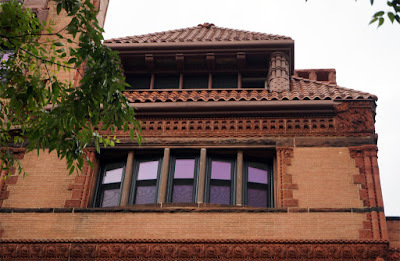 The architectural embellishments include a visually solid base of ashlar-patterned stone, arched windows, corbeled brick patterns and terracotta ornamentation. 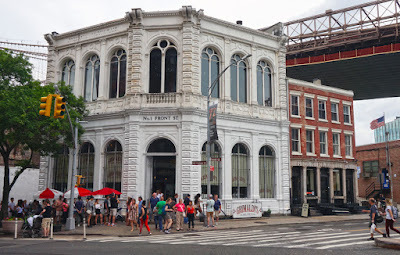 The building was used as accommodations for the Brooklyn Dodgers during home games and at one time a Yidish language radio station was headquartered there. 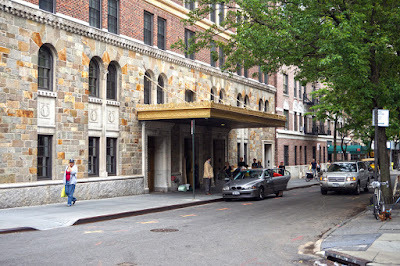 Like many buildings in New York during the 1970s, the hotel fell into disrepair as the city fell on hard times. It was during this period, in 1975, that The Jehovah’s Witnesses purchased the property for less than two million dollars. The religious group converted the former hotel into condos and used the building to house their growing staff employed at their Brooklyn headquarters. Today the building features “295 residential units, a rooftop terrace and lounge, a commercial kitchen, dining rooms, medical offices and a clinic”. And, for only one hundred and forty million dollars it can all be yours. 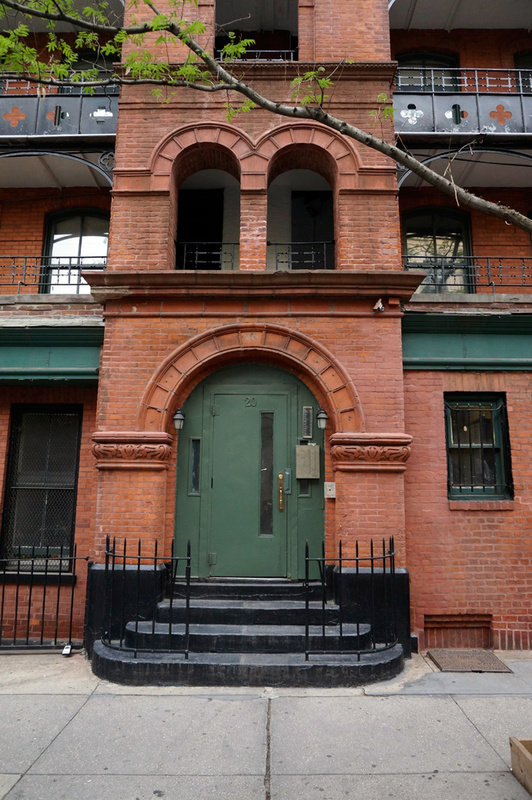 The Jehovah's Witnesses put the building on the market in March. The Witnesses have been putting their many DUMBO and Brooklyn Heights properties on the market as they prepare to relocate their headquarters to Upstate. They have been in Brooklyn since 1909. 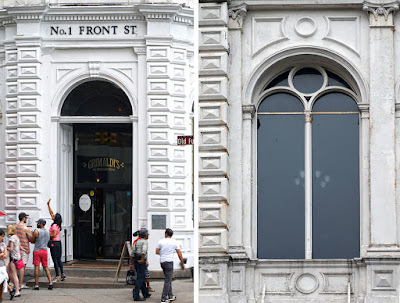 Other properties they have unloaded in recent years include the Standish Arms on Columbia Heights for fifty million dollars and the Bossert Hotel on Montague Street for eighty one million dollars. 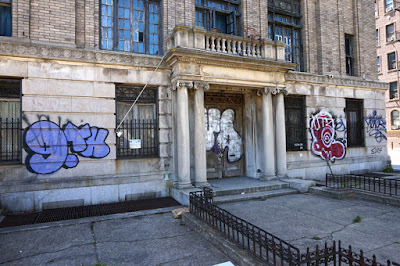 According to Brooklyn Paper the organization is also in the process of putting their main office building on the market. 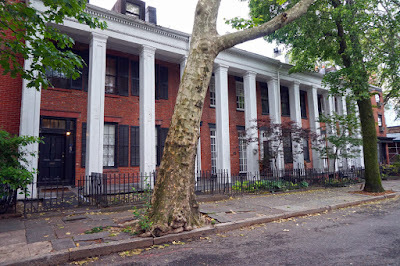 The houses pictured above, built in 1846, represent “the last surviving colonnade row on Brooklyn Heights”. 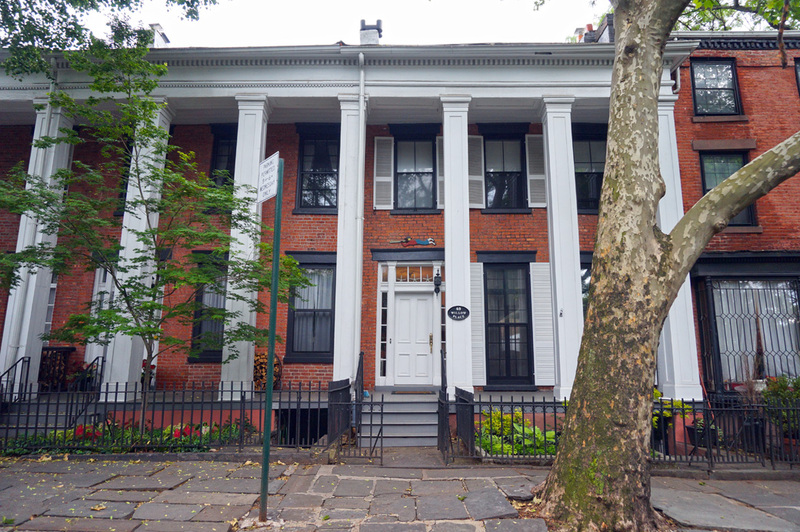 The houses were designed in the Greek-Revival style. Colonnade rows were popular during the height of the style’s popularity in the 1830s-1840s. The colonnade row lends a lot of grandeur to homes with otherwise little architectural embellishment. 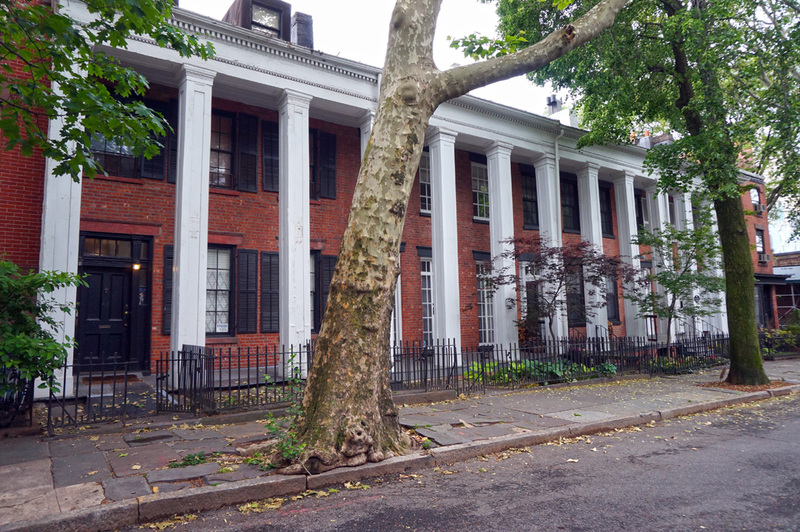 The houses are unified with a continuous grand scale portico with square wooden columns supporting deep entablature. The city used to have many colonnade rows. Brownstoner lists La Grange Terrace across from Cooper Union in Manhattan as the best known remaining colonnade row. However, remnants of the design feature can be found in other, more modest places as well. 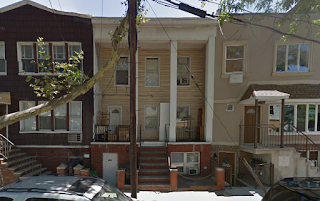 In Williamsburg near the BQE is a singular home (pictured above) that was once part of Colonnade row. My favorite of the remaining houses isn’t one among the row. It’s the one across the street. 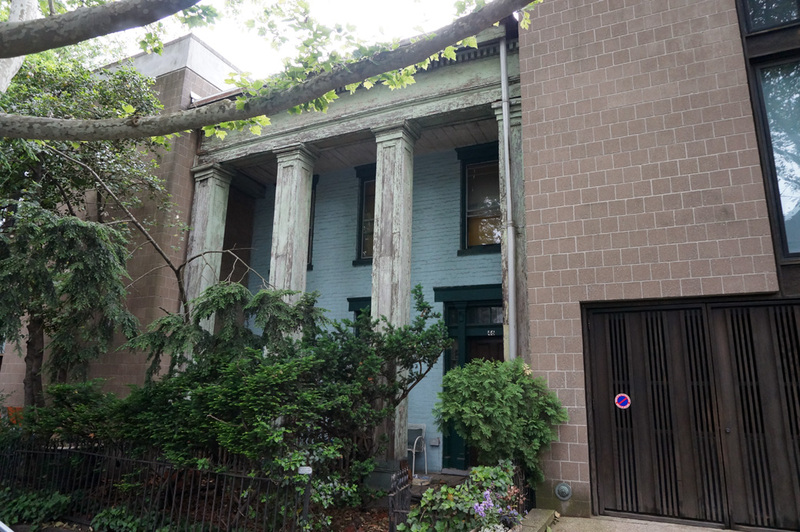 Currently in ill repair, the single remaining Greek-Revival house on the north side of Willow Place looks like an anachronism being swallowed by a modern building. The weird juxtaposition and decrepit façade makes the historic home look like a place lost in time. 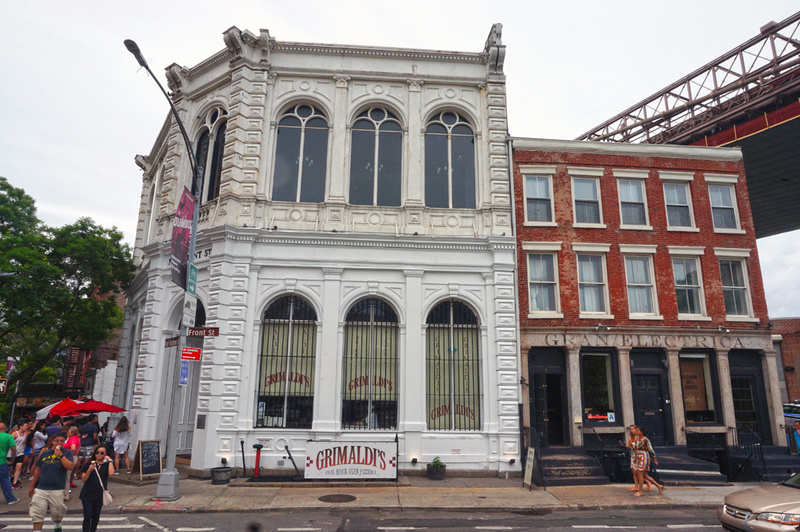 Built in 1869, the building that now houses Grimaldi’s was once home to the Long Island Safe Depost Company. Architect William A. Mundell designed the Venetian-palazzo styled structure at age twenty-four. 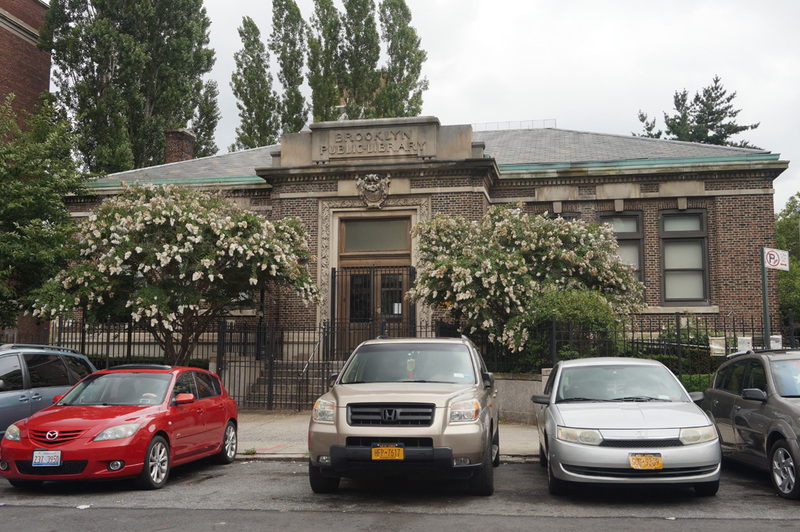 Mundell was also known for designing the Williamsburg and Park Slope armories. According to the AIA Guide to New York City the “monumental bank overshadowed its older neighbors”. The cast iron design of the building is reminiscent of the structures more commonly seen in SoHo and Tribecca. Moreover, the material of choice for the building represented a departure from the Fulton Ferry neighborhood’s vernacular architecture. Both the façade and interior details were constructed with iron, in part, to insure that depositor’s valuables were safe from fire. The building is on the site where Abraham Remsen’s house and dry goods store once stood. The store replaced an old stone farmhouse owned by the Rapalje family. It is also near where the Fulton Ferry Landing once existed. The building was sited at 1 Front Street because, prior to completion of the Brooklyn Bridge, the area around the ferry landing was a commercial hub. Once the bridge was completed in 1883, commercial activity in the area declined and as a result the Long Island Safe Deposit Company moved to the corner of Clinton and Fulton Streets. After the safe deposit company moved the building was used as a warehouse. More recently, it has been utilized by commercial tenants including the famous pizza shop that now resides there. 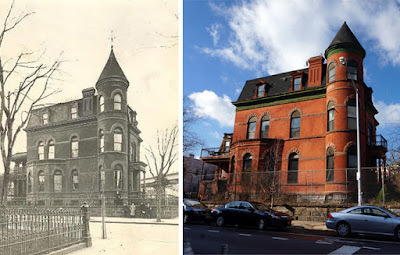 Built in 1889, the Lipsius - Cook Mansion is a red brick building designed by architect Theobald Engelhardt in the Romanesque Revival style. 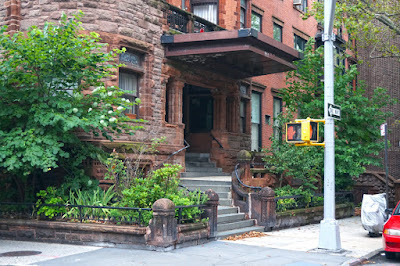 Engelhardt was a well-known, prolific Brooklyn architect active around the turn of the last century. 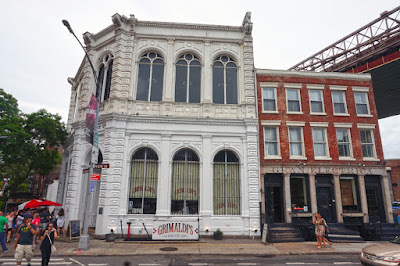 Some of his other landmarked buildings include three of the Pencil Factory Buildings, Greenpoint Home for the Aged, Northside Savings Bank and William Ulmer Brewery in Bushwick. As an observation, I’d like to note that the Cook Mansion has a very similar spooky quality to the Greenpoint Home for the Aged. 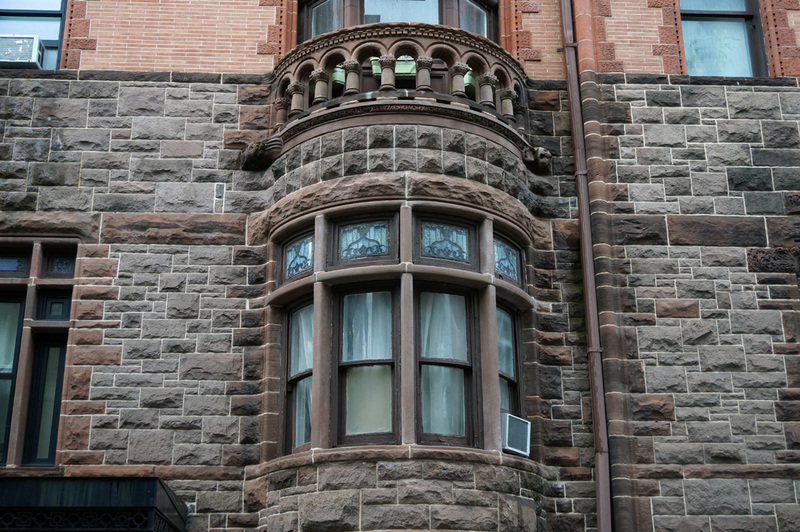 The Mansion’s features include a rusticated stone base, terracotta and stone trim, a mansard roof with pilastered dormers and an imposing tower on one corner of the home. Similar to some of Engelhardt’s other buildings, this one has a storied history. 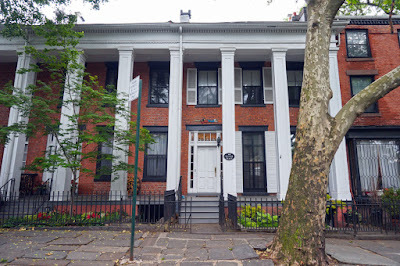 The mansion was originally built for Catherina Claus-Lipsius, owner of the Claus Lipsius Brewing Company that formerly operated at Bushwick Avenue and Forrest Street. The Brewery (also designed by Engelhardt) was one of fourteen breweries on “Brewer Row”. Its claim to fame was for creating the recipe for Brooklyn Lager. A successful business venture, the brewery’s profits allowed Catherine to commission the imposing mansion that she sold to Dr. Frederick Albert Cook in 1902. A Columbia Medical School graduate, Dr. Cook was an explorer, as well as a man of tall tails. 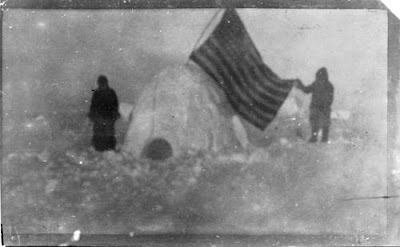 He accompanied Robert Peary on his 1891-1892 arctic expedition and Belgium explorer Adrien de Gerlache’s Antarctic expedition. Upon returning Dr. Cook claimed that he was the first to summit Mount McKinley in Alaska and the first to reach the North Pole. Both claims were false. 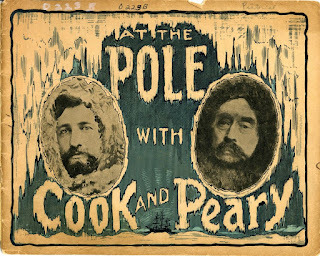 Cook’s claim of reaching the North Pole in April of 1908 was refuted by Peary, who is credited as being the first to reach the site in 1909. Regardless, Cook’s stories and hyperbole made him a sensation and he earned millions by selling photographs and stories to newspapers, as well as lecturing around the world. In 1923 Cook was convicted of mail fraud for overstating potential oil yields from a tract of land for a Texas Oil Company he represented. Although, the land eventually yielded a far greater volume of oil than Cook originally claimed. The sentence was considered harsh and there is speculation that the Judge in the case was biased due to a possible connection to the Peary family. Dr. Cook served out his six years and was released in 1930 with his reputation in shambles. President Roosevelt pardoned him in 1940 shortly before his death. Cook sold the house to an Italian family in 1920 that sold it in 1952 to a Catholic Religious order known as the Daughters of Wisdom. 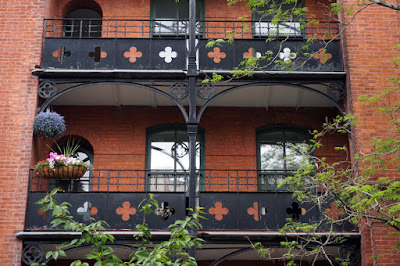 The order used the building as a convent until 1960 when they sold it to a doctor. According to Brownstoner the house was also used as a clinic and was abandoned prior to being repurposed for its current use as a four-unit apartment building. 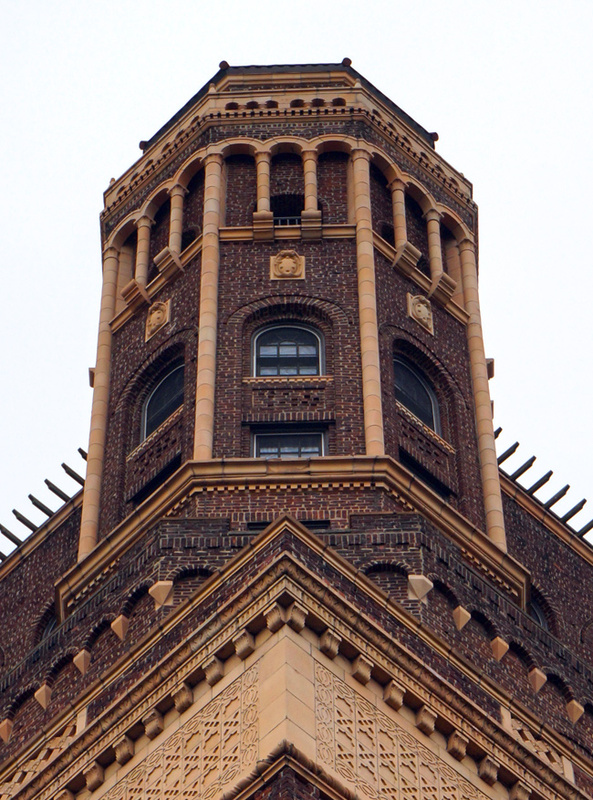 Designed by architecture firm Koch & Wagner, the Ridgewood Masonic Temple (Lodge No. 710) is a Beaux-Arts style fraternal hall built in 1920. 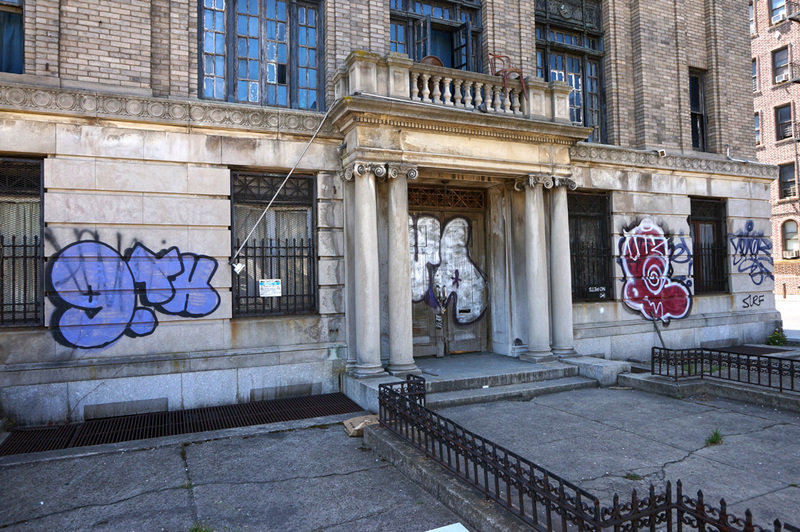 The firm partners were both native Brooklynites that graduated from Pratt Institute. 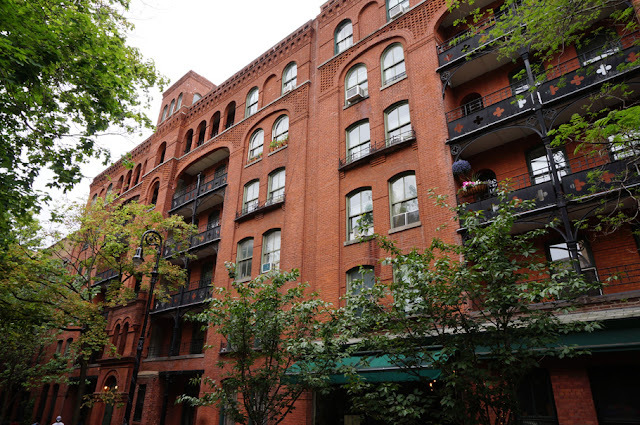 The structure is a four-story building constructed of limestone and buff-colored brick. 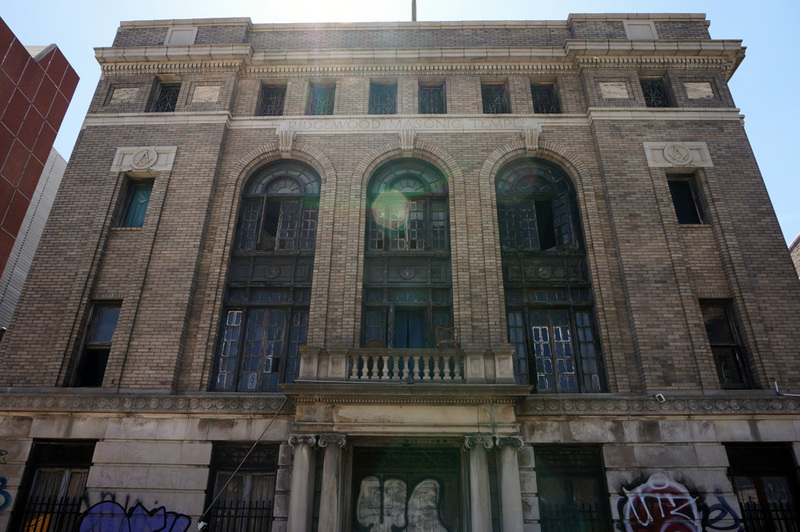 The building’s dominant features are its rusticated first floor, tall arched windows and ionic columned portico entrance. In addition, the building has a terracotta cornice and details that include Masonic icons. The Freemasons are a fraternal organization of an ambiguous nature. 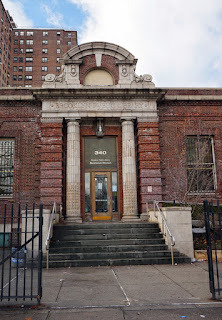 There doesn't seem to be one succinct definition of who they are but if you want some first hand knowledge, I recommend visiting the Masonic Hall in Manhattan during Open House New York weekend. During the tour, they will explain a little bit about their principals and practices. The Ridgewood Lodge that occupied Bushwick's Ridgewood Temple was formed from three Freemason lodges, the Ridgewood Lodge, Cypress Hills Lodge and Star of Hope Lodge. The Ridgewood Lodge, founded in 1870, moved at least five times prior to commissioning the neoclassical temple. Regarding the Ridgewood Temple's Bushwick location and its Queens neighborhood name association, the Temple's location was once considered to be a Ridgewood, Queens address. The Lodge was active in the Temple until it closed sometime in the 1970s due to declining membership. It was then consolidated with the Anchor Astoria Lodge in College Point, Queens. 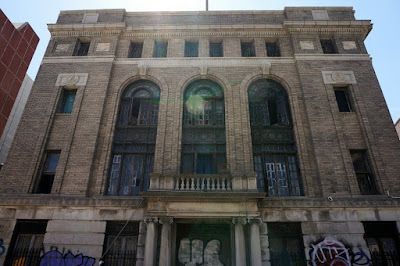 After the Free Masons vacated the building it was briefly used as a concert venue for shows produced by Todd P, an indie music promoter. However, the city put an end to that by disallowing alcohol sales at the location indefinitely after the building’s manager failed to get a liquor license for an event he held in 2010. Some of the bands that played at the venue included, Sleigh Bells, Vivien Girls, Dan Deacon and Das Racist. Like most other vacant historic buildings around Brooklyn, the current plan for the Ridgewood Masonic Temple is a condo conversion. 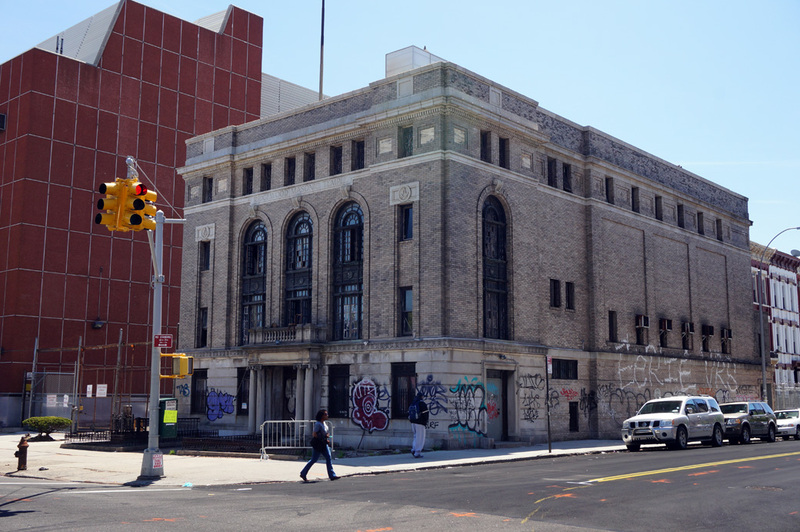 The building was landmarked in 2014 though, so any modifications to the exterior shell should be minimal and would require the Landmark Preservation Commission’s approval. In addition, the neighborhood’s zoning should keep developers from raising a giant tower through the roof. Of the Robber Baron turned philanthropists of the late 1800s and early 1900s few had as much of an impact on civic architecture as Andrew Carnegie did. After selling his steel empire to J.P. Morgan, Carnegie turned his attention to philanthropy. One of his favorite charitable contributions was the building of public libraries. 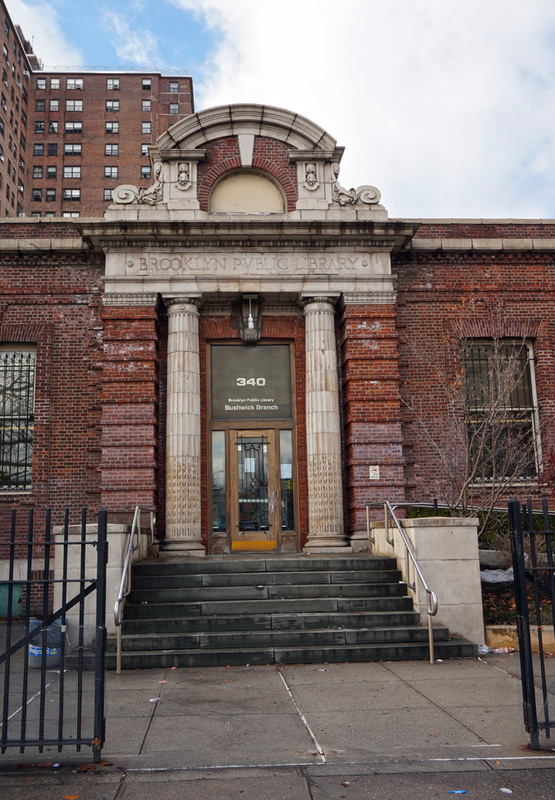 Carnegie would build a library for any city that demonstrated a need and was willing to stock, fund and staff the operation of the institution. A self made man of a poor immigrant family, Carnegie believed that libraries would allow the disadvantaged but industrious an opportunity to better their lives through self-education. Many of the architectural gems that were born out of that belief are still in existence today and continue to offer people the chance to expand their opportunities through learning. 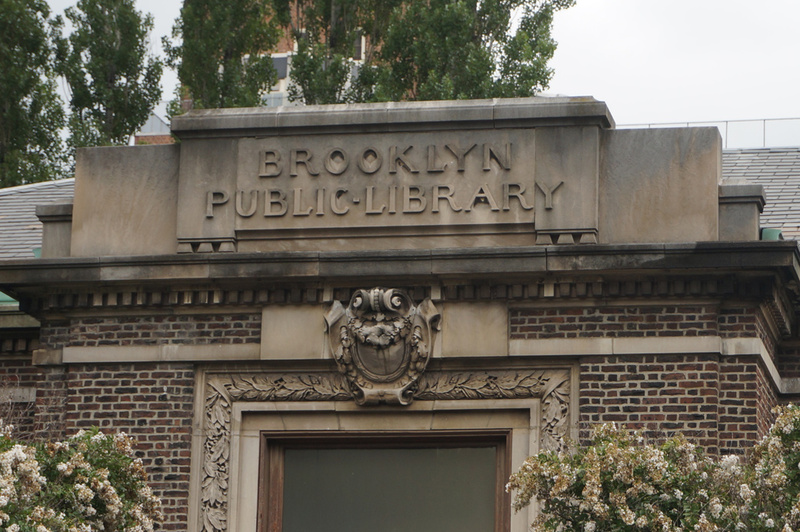 At one time Bushwick had two Carnegie libraries. The first one, designed in Classical Revival style by William B. Tubby, opened in 1905 on Dekalb Avenue. The Dekalb Branch still exists; however, the original Carnegie building has been replaced by a modernist structure. The Bushwick Branch retained its Classical Revival style Carnegie building, which was designed by architect Raymond F. Almiral. The branch first opened on the first floor of a church in 1903. 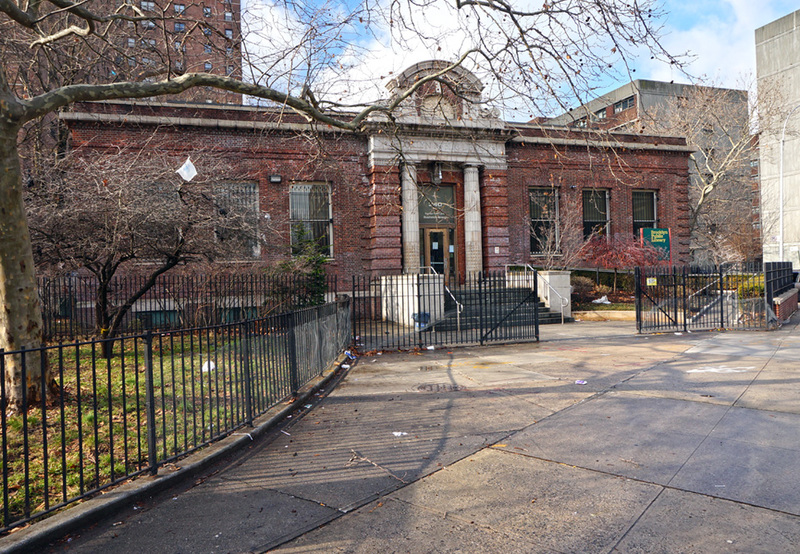 The library moved to Bushwick Avenue and Seigel Street in 1908. 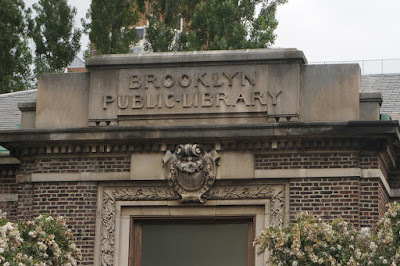 Similar to many other Carnegie Libraries built in Brooklyn, the building is a freestanding structure constructed of brick with limestone details and features large windows to allow ample light for reading. 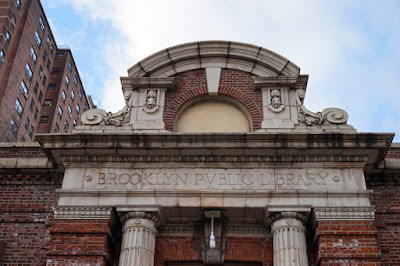 The most prominent architectural embellishments are at the building’s entrance and include ionic columns, a frieze with “Brooklyn Public Library” inscribed in it and an arched pediment. 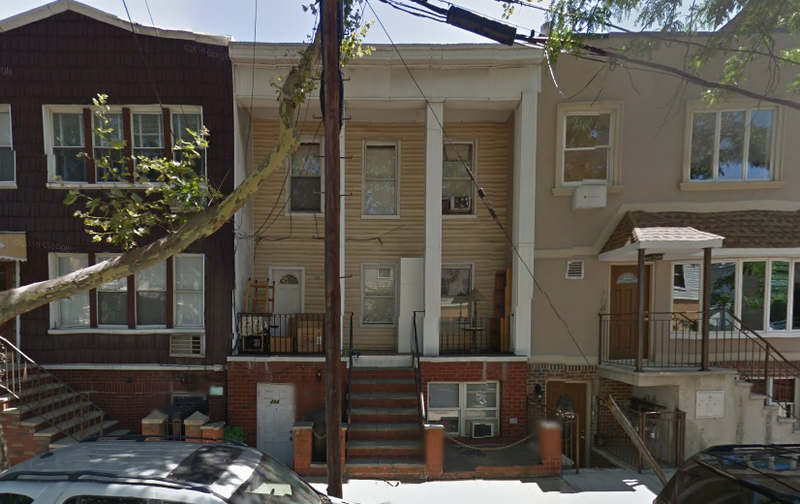 This part of Bushwick is where I landed when I came to New York a decade ago. The area has little in the way of notable architecture in decent condition except for a few renovated warehouses. 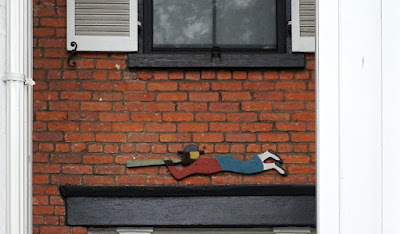 So, this little building was a welcome site every time I passed it.